Steve Jobs' Medical Leave of Absense: Thoughts? 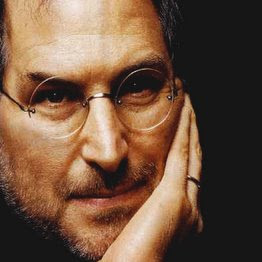 Is Steve Jobs' Health Your Business? Since then, the media storm regarding Steve Jobs' health has continued to rage full force. Front page news, it seemed that everyone was gossiping about Steve's dramatic weight loss and the possible medical causes. "Unfortunately, the curiosity over my personal health continues to be a distraction not only for me and my family, but everyone else at Apple as well. In addition, during the past week I have learned that my health-related issues are more complex than I originally thought. In order to take myself out of the limelight and focus on my health, and to allow everyone at Apple to focus on delivering extraordinary products, I have decided to take a medical leave of absence until the end of June." Read more, to read my thoughts on this headline news story. Medical Leave of Absense? Shocking! I was actually shocked when I read this news. I was especially shocked by the fact that Jobs' primary reason sited in his letter is in regards to the distraction his health issues have caused not only apple, but his family. ...Annoying for him and his family, absolutely. But he is stepping down because of a media distraction? I don't buy it. In my opinion, the continued interest in Steve Jobs' ongoing medical battles is just another way that demonstrates the power in the Apple Company. I wish he had simply said the last point in his letter: "during the past week I have learned that my health-related issues are more complex than I originally thought." "IS STEVE JOBS' HEALTH YOUR BUSINESS??" I said no in my last post. And I still think it's not your business. Controversial answer, I know, but that's my opinion. And again, I applaud Steve for not giving into the media's plea for detailed information on his health. However, I'm sure the public interest will still reign even though Jobs' has stepped down. So good luck with that Steve..and to your family. I wish him well in his recovery, and as a huge Mac and Apple fan, I hope the company does not suffer from this turn of events. What do you think about the right of the public to know about personal medical issues of CEO's, politicians and other leaders as such?